Scientists have developed an automatic alert system that may help people quit smoking by sending them motivational text and video messages. The system, described in the journal Smart Health, consists of a smartphone app that texts 20- to 120-second video messages to smokers when wearable sensors detect specific arm and body motions associated with smoking. There is no shortage of products or programmes - from nicotine gum to hypnosis - to help people stop smoking, said researchers from Case Western Reserve University in the US. More recently, wearable technology has gained popularity in the fight against addiction. However, the new alert system may be the first that combines an existing online platform with mindfulness training and a personalised plan for quitting, the researchers said. The system also has two armband sensors to detect smoking motions, a technology that demonstrated more than 98-per cent accuracy in differentiating "lighting up" from other similar motions. A personalised text-messaging service reminds the user of either their own plan to quit, or sends video messages that stress the health and financial benefits of quitting. The findings are based on a group of 10 users, researchers said. Most previous studies have relied on smokers self-reporting how often they smoked, while the system more accurately tracked smoking activity based on the sensors, they said. 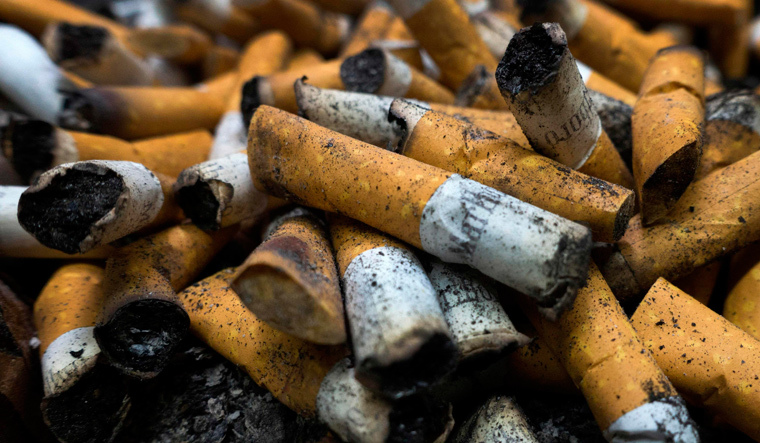 "We have been able to differentiate between a single motion, which could be confused with eating or drinking, and a sequence of motions more clearly linked to the act of smoking a cigarette," said Ming-Chun Huang, a professor at Case Western Reserve University.